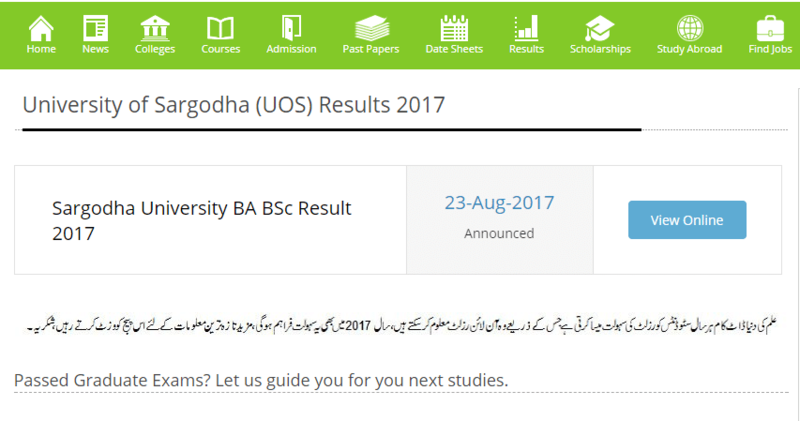 The University of Sargodha (UOS) was set to announce the result of BA/BSc. 2017 on August 23, 2017. After yesterday, the university was all set to post the results online for its students. Naturally, students of the university were anxious to check their results online. However, they have been unable to do so yet as the UOS website has been down till the filing of this report. If that wasn’t enough, scammers have sprung into action, taking full advantage of the situation. They are capitalizing on the situation by redirecting all those students who search for ‘Sargodha University BA BSc Results 2017’ online to their own websites. These scam websites are generally filled with ads and other nuisance-inducing content. The UOS administration needs to look into this matter and resolve it promptly to save the students from further inconvenience. Are you having difficulty accessing the UOS website? Do let us know of your experience in the comments below. Update: We are seeing limited instances of the website coming online. However, it is still down for many people who are accessing it from many parts of the country. Jo result show hota tha us py bhi 5-10 mint lag rahy thy load hony me. Intehai thaki howi website hai inki. Stability hi nahi hai. koi baat nahin,..bari bari website bhi down hojati hein.